This week's theme is Nostalgia. This picture is a few years old. 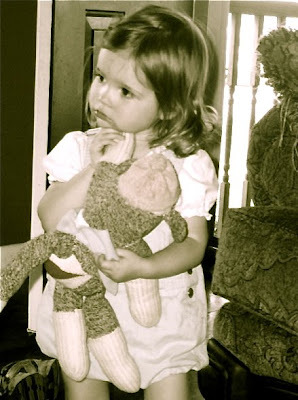 Jada is holding the sock monkey my Grandma made me when I was a little girl. Visit I heart Faces to see more nostalgia!